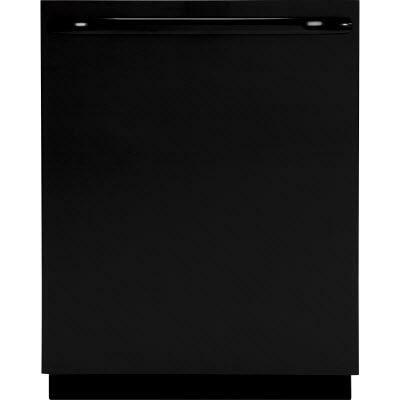 GE® Built-In dishwasher with hidden controls. 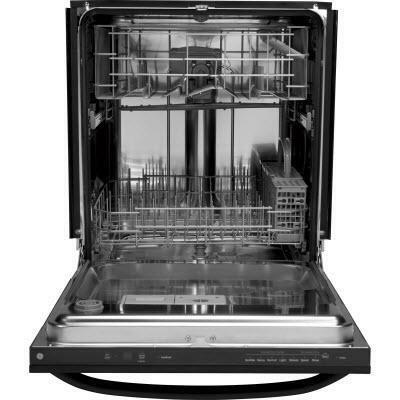 Bright annealed stainless steel interior provides long-lasting durability. Low profile installation is great for raised sub-floors and 34" countertop heights. Two utility shelves in upper rack with StemSafe™ that conveniently flip down to handle tall items and protect stemware. Featuring gray nylon racks that are long-lasting, durable racks that resist rusting, chipping and peeling. 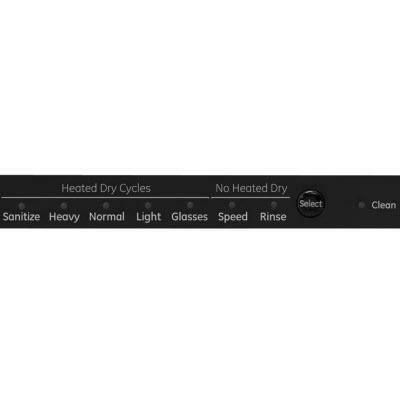 Wash Cycles Heavy Wash; Normal Wash; Light Wash; Glasses; Sanitize (NSF Certified); Rinse Only; SpeedWash™. Additional Information Fully integrated electronic 3-touchpads top controls; Bright annealed stainless steel interior; Low profile installation great for raised sub-floors and 34" countertop heights; 2-digit countdown display with 1-24 hr. delay start; Two utility shelves in upper rack with StemSafe; Long-lasting, durable gray nylon racks resist rusting, chipping and peeling; Audible end-of-cycle signal; Dual Pumps and Motors; Automatic temperature control; Automatic temperature sensing; CleanSensor™.